Graphic Workshop Professional is the image management package for Windows, and the ultimate digital darkroom. It features support for over 70 popular graphic formats; multiple browser windows; batch processing and conversion; thumbnails; a rich library of image filters and a lot more. Whether you'd like to browse your image collection and view pictures, convert between formats, print your graphics as hard copy, acquire images from a digital camera, maintain a sophisticated keyword database, decode pictures from the Internet, process and fine-tune your photographs... the list of Graphic Workshop's functionality can run for pages. Its extensive documentation and a lively, approachable tutorial will have you up and running in minutes. Convert between over 70 popular image formats. View graphics in any of the supported formats. Display a slide show of images. Search your hard drive and other storage devices for graphics. Apply interactive image filters to your graphics. Create sophisticated textures and fractals. Print pictures to any printer supported by Windows. Transform, rotate and flip your pictures. Resize images with anti-aliased scaling. Adjust image color, contrast and brightness. Move and copy graphic files. View and extract graphics from ZIP and RAR archives. Manage and edit the EXIF information embedded in your pictures. Create HTML documents with clickable thumbnails of your digital images. Acquire images from a scanner or digital camera. Run any function in batch mode. Print high-resolution paper catalogs of your picture collection. Add text captions to your pictures. Add permanent watermarks to your photographs. Quickly edit your pictures — just right-click on a file and select Paint. In addition to the Graphic Workshop Professional software itself, the Graphic Workshop Professional suite includes several ancillary applications. Registering Graphic Workshop Professional also registers these applications. Evaluation versions of this software are included with the Graphic Workshop Professional downloadable installer. Archive Manager: Create, modify, manage and extract files from ZIP archives with no complicated documentation to read or any unpleasantly long words. 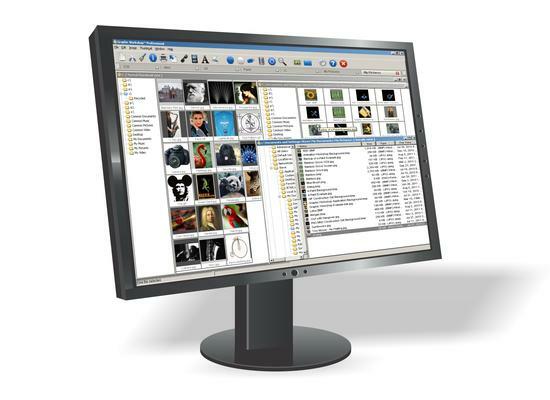 Camera Screen Capture: Capture all or part of a Windows screen to image files. e-Paint UltraLight: Refine your photographs or create original art with this simplified edition of Alchemy Mindworks' popular e-Paint digital darkroom and drawing application. GIF Construction Set UltraLight: A simplified version of Alchemy Mindworks' popular GIF animator. Create instant web page animations using the built-in Animation Wizard. Icon Editor UltraLight: Create and edit Windows icons with this simplified edition of Alchemy Mindworks' Alpha Paint. Montage Builder UltraLight: Combine your digital photographs and other graphics into picture montages that can be printed and exported to single-image graphics, such as JPG and PNG files. Presentation Wizard UltraLight: Create professional presentations and distributable Windows executables from your pictures and text with this simplified edition of Presentation Wizard. Resource Extractor Easily locate and extract icons, bitmaps, sounds and other resources from Windows executables and DLL libraries. Rotator: Have your Windows wallpaper or your screen savers automatically changed each morning. Scrapbook: Preserve a library of your recent Windows clipboard activity — recall and reuse earlier objects cut or copied to the clipboard with a few mouse clicks. The Graphic Workshop Q&A page offers answers to frequently asked questions about Graphic Workshop Professional. THE BOOK: Own the definitive, authorized printed reference for Graphic Workshop Professional, written by the developers who created this software. Hard copy rules. IMPORTANT: Graphic Workshop requires access to the Internet to validate itself after installation. Please see the discussion of registration key security for a detailed discussion of this functionality. Click on one of the following links to download Graphic Workshop Professional 9.0a revision 10. This file is 75,927,040 bytes in length. Extend Graphic Workshop even further with optional format plugins. As of this writing, if you have previously registered or upgraded to Graphic Workshop Professional 8, we invite you to upgrade to Graphic Workshop Professional 9 for half price. We are able to provide some limited support for the version 8 software, but it's becoming increasingly vulnerable to changes in Windows and some third-party security products. Graphic Workshop Professional 4, 5, 6 and 7 have reached their ends-of-life, and they have been removed from distribution. We no longer have replacement installers for these products. We are able to provide replacement registration keys and limited support for Graphic Workshop 7. We recommend that you register Graphic Workshop Professional 9. Graphic Workshop Professional 2 and 3 have reached their respective ends-of-life, and they have been removed from distribution. We no longer have replacement registration keys or installers for these products, and support for them has ended. We recommend that you register Graphic Workshop Professional 9. Graphic Workshop™ is a trademark of Alchemy Mindworks Corporation. The digital camera pictured near the top of this page is not included with Graphic Workshop Professional. The graphic of the woman with a digital camera is used under license from StockFresh. The monitor graphic is used under license from DryIcons.